Building a professional and friendly social network and getting your companies well known to everyone with One Page Society WordPress theme! 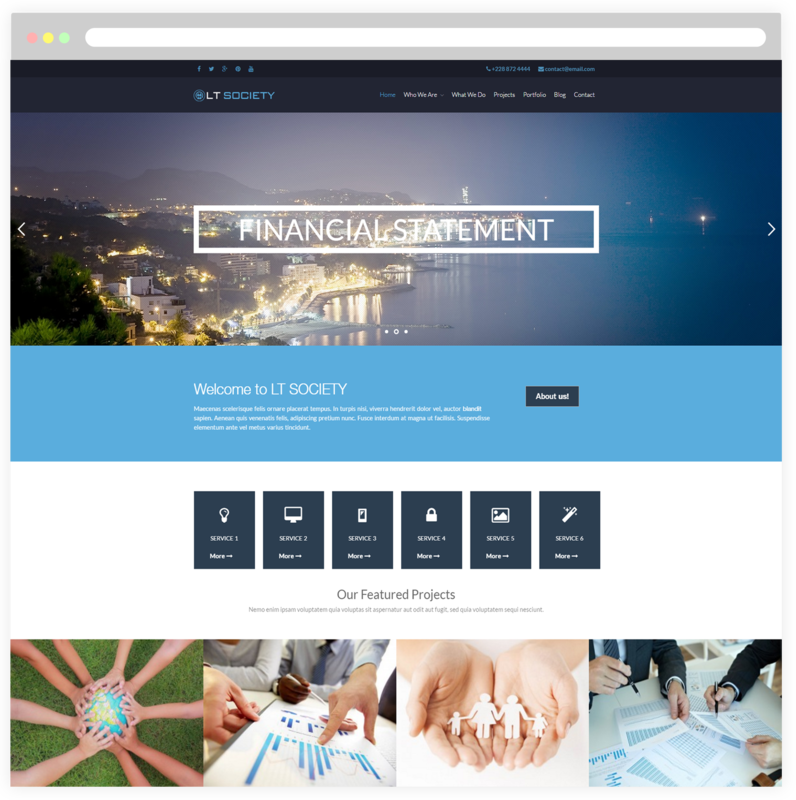 LT Society Onepage is a free single page version of LT Society WordPress Theme (multi-page). This is the great theme used for Corporation or Society websites to promote main messages and tell people about your society and spread them out. 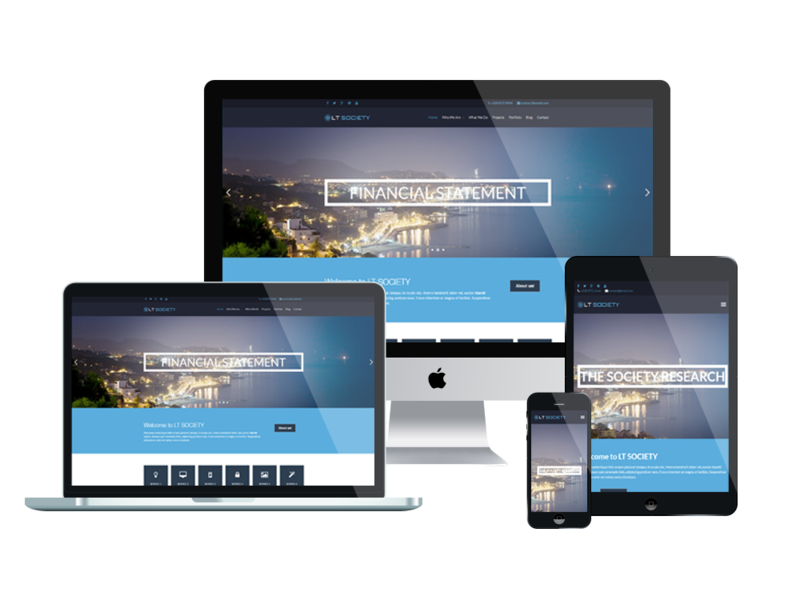 The theme is designed very elegantly with modern look, stylish and fancy colors that is completely suitable for your business. Go downloading and installing this amazing theme to immediately create a professional appearance for your website. Society WordPress theme builds on a strong framework with fully bootstrap supporting 100% responsive layout (fit well on all mobile devices – smartphones, tablets and desktops), integrating with drag-drop layout content, Bootstrap CSS & Hybrid framework. 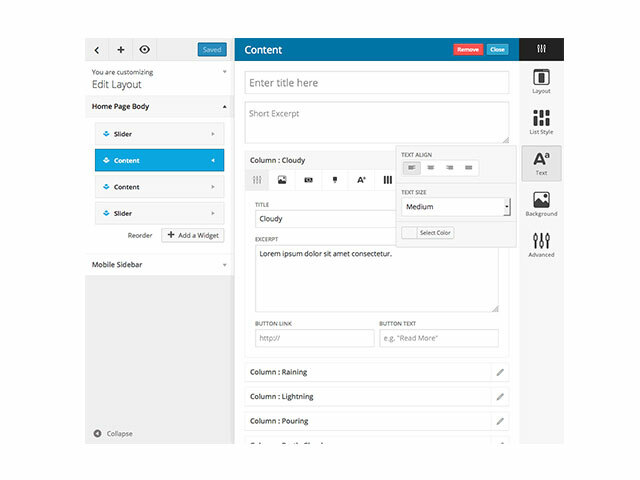 Besides, highly customizable unlimited color options and a color picker in the admin panel are equipped to help you make your site more beautiful with various layout. Don’t hesitate to get this worth-trying theme!